THE public head hunter Public Enterprise Selection Board (PESB) has shortlisted ONGC's Director (Technical and Field Services), Shashi Shanker for the post of ONGC's Chairman and Managing Director from October 1. Shankar is likely to replace Dinesh K Sarraf, who retires on September 30 upon attaining retirement age. said that Harjeet Kaur Joshi, Director (finance) at SCIL, Vivekanand, Director (finance) at OVL, Arvind Jayasing Morbale, ED, ONGC, Rajesh Kakkar, ED, ONGC, Sanjay Kumar Moitra, ED, ONGC, Biswajit Roy, Director (HR), OIL, Medithi Ravikanth, CMD, HUDCO, Prabal Basu, CMD, BL&Co were also interviewed for the post. Shankar's elevation to the top job is now subject to a nod from the Ministry of Petroleum and Natural and Gas, after obtaining clearance from the Central Vigilance Commission and the Central Bureau of Investigation. After this, the Appointments Committee of the Cabinet (ACC), headed by the Prime Minister will approve the posting. 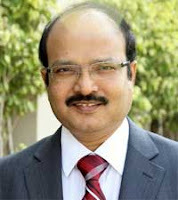 Shanker has been serving as the Director (Technology & Field Services) of ONGC since December 2012. With an impressive professional experience of over three decades in ONGC, Shanker has wide exposure in diverse E&P activities and has been at the helm of drilling operations in various challenging assignments. A performer par excellence, he has received various awards notably "Young Engineer Award" and "Drilling Engineer of the Year 1998". Having spent over 12 years at the Mumbai Offshore fields prior to his movement to Delhi Corporate Office, Shanker was the Head - Deep Water Multi- Disciplinary Team spearheading the deep/ultra-deep water campaign of ONGC. Significant contributions during posting in Deepwater group are drilling of more than 90 wells in deep and ultra-deep water, Rig contracting on Integrated Well Completion basis, implementation of bundled service contracts for deep-water exploration, introduction of the procurement of drilling bits on consignment basis - a paradigm shift from L1 philosophy, induction of state of art technology in deep water operations, 24X7 online monitoring of deep-water wells and various cost reduction initiatives resulting in significant boosting of ONGC's bottom-line. A St. Xaviers's College, Ranchi product, he graduated in Petroleum Engineering from Indian School of Mines, Dhanbad and completed his MBA with specialization in Financial Management from IGNOU. Shanker did his General Management Training from IIM, Lucknow and Leadership Development Programme at ISB, Hyderabad under "Shangsaptak" programme. Shanker becomes the sixth Director (erstwhile Member (Drilling) prior to listing of ONGC in 1994 and Director (Drilling) henceforth till implementation of CRC in 2001) to head the Technology & Field Services function of ONGC since its inception.